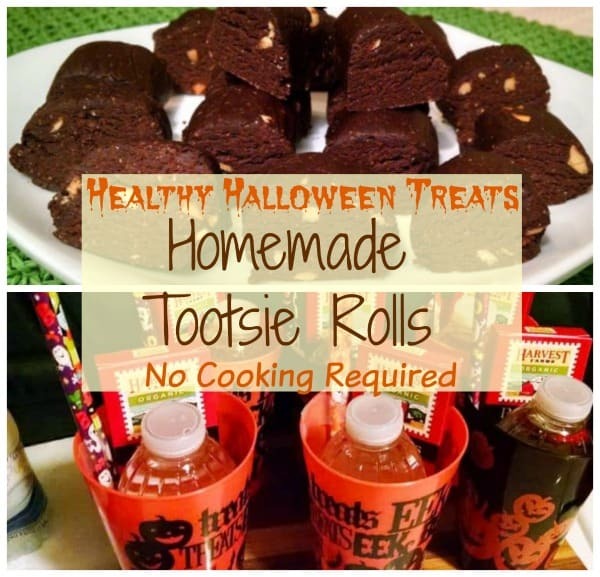 Tootsie rolls are a classic candy and chocolaty treat, and these healthier easy tootsie roll recipes are sure to please! While candy-making can seem like an intimidating task, making your own homemade tootsie rolls is actually surprisingly easy. This is a no-bake, 6-ingredient treat that anyone can create. One of the main ingredients is whole oats that you simply blend in a food processor or blender to create oat flour. Oat flour can also be used in other recipes like my Banana Oat Pancakes. 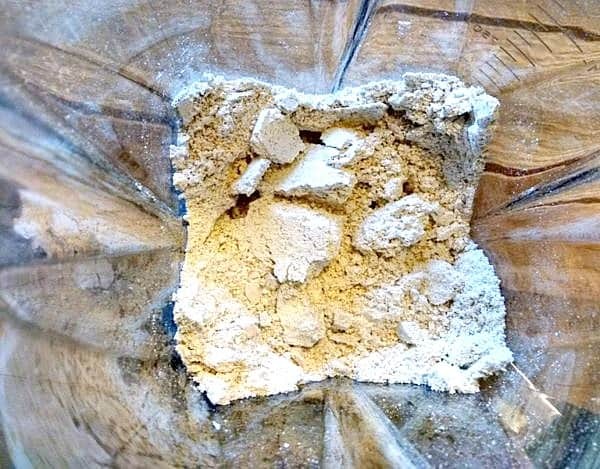 Have you priced oat flour at the grocery store or health food stores? It’s quite expensive! The good news is that you can very easily make your own with just whole oats and a blender. To make oat flour, you can use old fashion oats or quick-cooking–either one will work just fine. Oats being blended in Vitamix. Click photo to view blender on amazon. Affiliate link. Simply place whole oats in a blender. Whirl dry oats in blender until finely ground and powdery, approximately 1 minute. This is an excellent flour for Banana Oatmeal Pancakes and other baked goods as well. 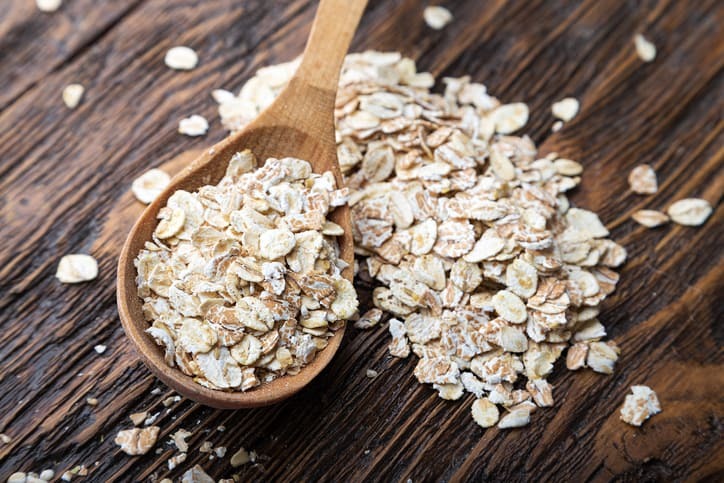 Measurement: One cup of dry whole oats creates approximately 1/2 cup of oat flour. This can vary, depending on how long it is blended and how powdery it becomes. 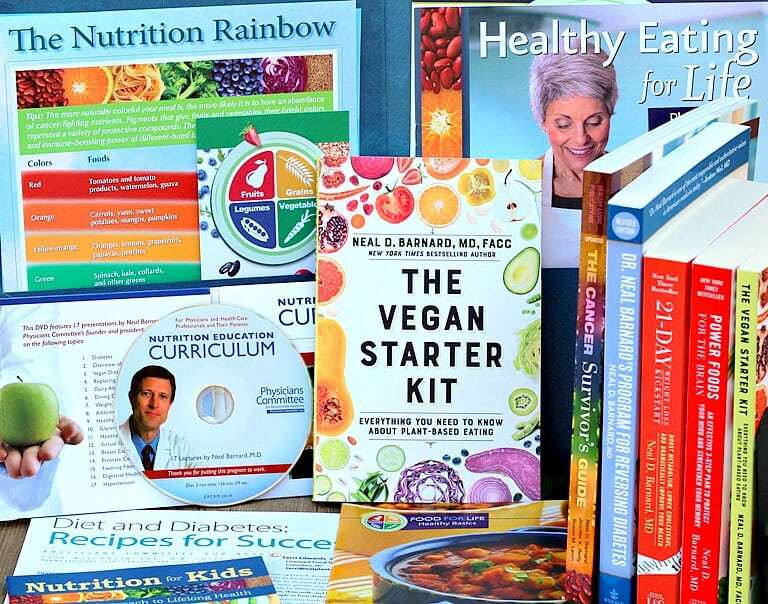 For more information on cooking with oat flour checkout How to Make Oat Flour & 10 Recipes that includes Zucchini Fudgy Brownies, Healthy Vegan Oat Bar, Zucchini Fritters, Breakfast Waffles, Blueberry Oat Muffins, and more. In a large sturdy bowl, mix in the other ingredients–cocoa, peanut butter, maple syrup, and vanilla. Continue mixing by kneading with hands until mixture becomes clumpy. This will take quite a few minutes. Be patient and work those hand and arm muscles. Remove a good handful of the mixture and begin to form a log. Place on a sheet of wax paper. Yes, I know what this looks like but, believe me, it’s going to be delicious. 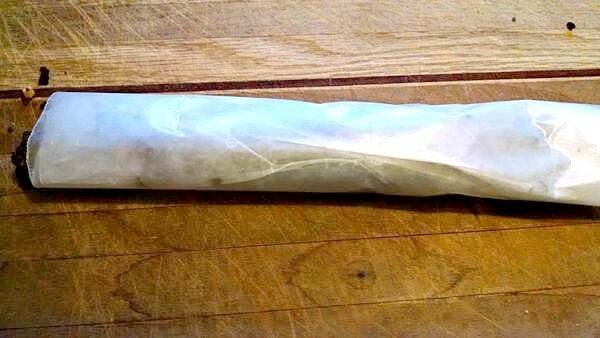 Roll a portion of the wax paper over log and begin to lightly squeeze to form thinner log. Rolling tootsie rolls in wax paper, form into a log. Wrap the rest of the wax paper over log and roll on counter or cutting board to firm up. Unwrap log and place on cutting board. Then, slice into chocolaty chunks. Place on a pan lined with wax paper and arrange in single layer. Slice rolls into sections to serve. The flavor experience is a mix between a tootsie roll and fudge, and oh so good! Eat immediately and store leftovers in freezer or refrigerator. These are terrific Halloween treats or a dessert for anytime of the year. 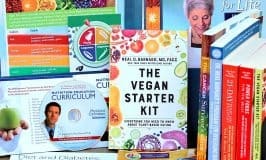 Recipe from Physicians Committee Links to Amazon.com are affiliate links. When you buy something through my links, I receive a commission that helps support this site which is greatly appreciated. Sometimes you just crave chocolate, and yesterday I actually picked up a bag of Tootsie Rolls in a weak moment. After reading that they have oil in them I resisted. 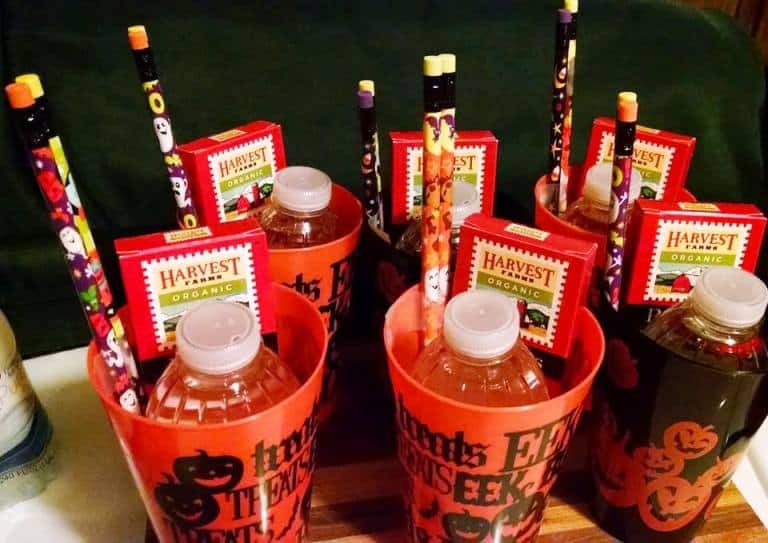 Other healthy treats we give out are these Halloween-decorated reusable cups and pencils, mini bottled waters, and boxes of raisins. Other healthy Halloween treat options. Recipe from Physicians Committee for Responsible Medicine. So easy and no cooking required! 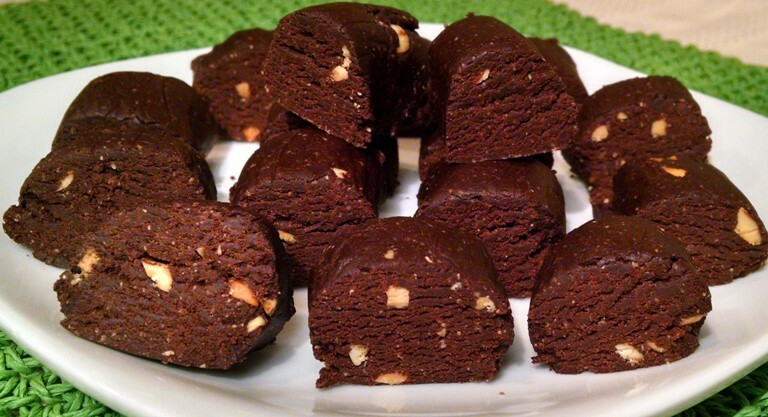 Homemade Tootsie Rolls require no baking and only 5 ingredients. The flavor experience is a mix between a tootsie roll and fudge. While candy-making can seem like an intimidating task, following this homemade tootsie roll recipe is actually surprisingly easy. Recipe from Physicians Committee. To make oat flour, place rolled oats in a blender or food processor. Whirl dry oats in blender until finely ground and powdery. This is an excellent flour for pancakes and other baked goods as well. Pour oat flour into large bowl and add all other ingredients. Use creamy or crunchy peanut butter, your preference. If using the full 1-cup of chocolate, these will have a dark chocolate taste, so use less for a lighter result. Stir ingredients with large sturdy spoon. Continue mixing by kneading with hands until mixture becomes clumpy. This will take quite a few minutes. Be patient and work those hand and arm muscles. Remove a good handful of the mixture and begin to form a log. Place on a sheet of wax paper. Yes, I know what this looks like but, believe me, it's going to be delicious. 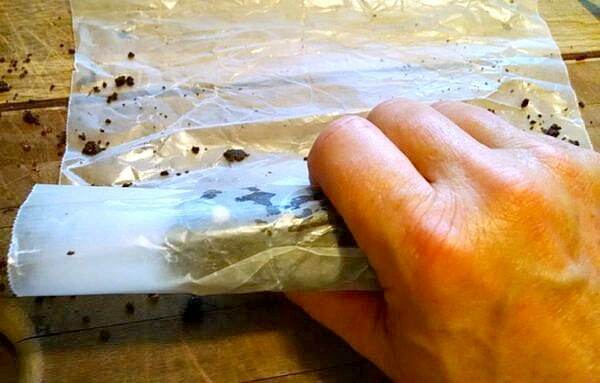 Wrap the rest of the wax paper over log and roll on counter or cutting board to firm up. Unwrap log and place on cutting board. Place on a pan lined with wax paper and arrange in single layer. Eat immediately and store leftovers in freezer or refrigerator. These are terrific Halloween treats or a dessert for anytime of the year. Great healthy Halloween treat option. These are so easy and a really, really good treat! I made them, added chopped walnuts and rolled into balls. I wrapped them in candy foil for a Christmas treat for others. Just like fudge… only no animal products. Wow! That is creative and sounds like a terrific idea! Thanks so much for sharing it. So I tried these yesterday they were good but too rich.. how do I make them less rich? Hi Charlene, try reducing the sweetener and cocoa to see if that better suits your taste buds. I think that could do the trick! 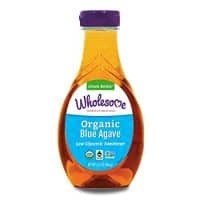 Agave would be a good substitution for maple syrup. Hope you enjoy! You might try maple syrup or agave as a substitute. Sometimes you just crave chocolate, and yesterday I actually picked up a bag of Tootsie Rolls in a weak moment. After reading that they have oil in them I resisted. My reward was discovering this recipe just today. Made them right away and they hit the spot. So many recipes have promise but don’t deliver. This one more than satisfied. Thank you! Mary, I LOVE reading comments like this! 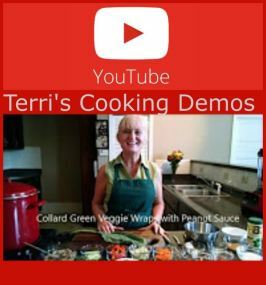 Thank you so much for sharing your excitement over this recipe. I hope you don’t mind that I added in the ‘Follower Comments’ section at the bottom of the recipe. Thanks again! 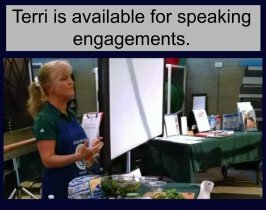 Jenifer, it’s so great to hear from you! I had no idea that Kenny has been diagnosed with diabetes or that you two have been changing your diet and lifestyle. That’s wonderful news! Great job! Thank you for great-looking recipe. 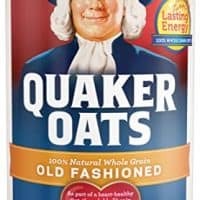 Could you please tell me if the 1/2 cup of oat flour is made from 1/2 cup of whole oats – or is the flour measured after grinding? Also can you use pre-ground oat flour (I.e. from Bob’s Red Mull)? Thank you! Great question! One cup of dry whole oats creates approximately 1/2 cup of oat flour. This can vary, depending on how long it is blended and how powdery it becomes. Due to your question, I have edited the article to include this information and am even planning to create another article titled “How to Make Oat Flour & Recipes.” Thanks so much for the idea! Hope you enjoy the tootsie rolls! I made these this afternoon. They don’t taste like tootsie rolls, but they do resemble them a bit. They tasted, to hubby and myself, exactly like a piece of 80% cacao chocolate. We buy the bars, to have a square as a rare treat, and these taste exactly the same. I made them with 2/3 cup of cocoa which was plenty dark for us.. next time I may use even less cocoa and maybe a bit more oat flour, and a bit more sweetner. As someone else said, they are very rich. I have a hearty appetite and can only eat 2 at a time. But definitely satisfies the chocolate craving. I rolled them up into balls and they look like chocolate bonbons. I am guessing they could be rolled in colored sugar or sprinkles for holidays. So so rich and amazing! Thanks for the recipe! I am so glad you liked them! They are definitely rich, and I love the way they satisfy chocolate cravings. Thanks so much for the great feedback!